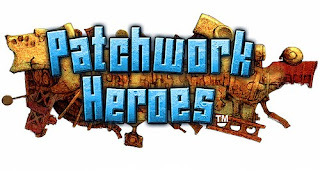 And it will be called Patchwork Heroes, according to PlayStation.Blog. Oh, well, at least it's being localized. Anyway, here's the official, localized translation of the title's premise (again, taken from PlayStation.Blog): "Patchwork Heroes puts the fate of a city in your hands as massive warships threaten innocent citizens. Come to the people’s defense by dismantling each level’s warship quickly before the ships can strike. Rescue trapped comrades along the way by releasing them from their confines." Go here for more info and a few screenshots. A trailer for the Japanese version of the title can be viewed in the blog post below. See also: "OK, it's settled ..."
Agreed. Why do they always LAME-ize all titles before releasing them here?